PARIS (Bloomberg) -- General Motors Co.'s efforts to restore European operations to profitability are on track even as the region's economy fails to revive as forecast, GM President Dan Ammann said. 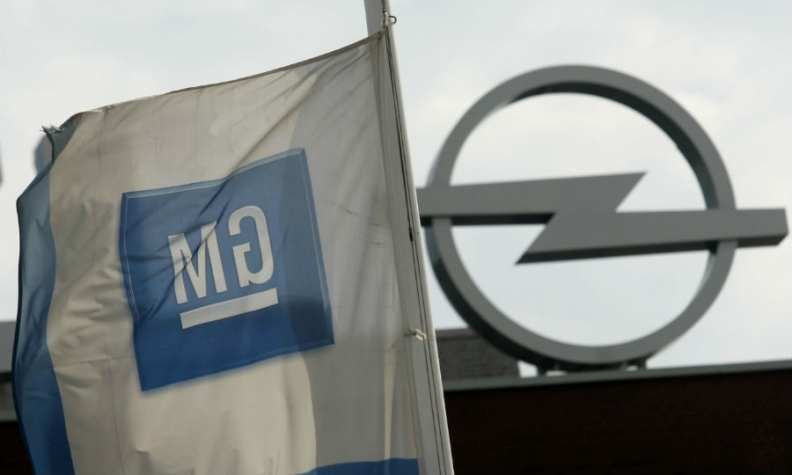 Since GM embarked on a restructuring plan for its Opel unit in 2012, the European economy has been "a little softer than even we expected and I think we were at the low end of expectations," Ammann said in an interview at the World Economic Forum in Davos, Switzerland. Still, "that doesn't derail our fundamental objectives" and the plan's "generally on track." In early 2013, GM underlined its commitment to supporting a European turnaround at Opel and its Vauxhall brand in the UK by pledging 4 billion euros in investments to fund 23 new cars and 13 new engines. GM aims to end years of losses at the unit by "mid-decade" by reviving the brand's image with new models such as the Mokka subcompact crossover and the upcoming Karl minicar. The world's third-largest automaker wants a major presence in Europe to compete with No. 2 Volkswagen Group, which grew at twice the pace of GM last year. Deliveries of Opel/Vauxhall vehicles rose 3 percent in Europe last year to 1.08 million cars. Overall growth in EU and EFTA market rose 5 percent to 13 million, the ACEA industry organization said last week. IHS Automotive forecasts Europewide sales to grow by 3 percent this year. The region will not return to pre-crisis levels before 2020, it said. The European Central Bank pledged on Thursday to buy government bonds as part of an asset-purchase program worth about 1.1 trillion euros ($1.3 trillion) in an effort to spark the euro-zone economy. A near-stagnant economy and the risk of deflation forced the central bank's hand six years after the Federal Reserve took a similar step to inject cash into the U.S.
A big "wild card" for GM's European turnaround is Russia, where auto markets and the economy are facing a "meaningful disruption," Ammann said. VIDEO: GM President Dan Ammann talks about global sales outlook, vehicle safety and business strategy. Car demand in the country is forecast to tumble 24 percent this year, following a 10 percent decline in 2014 as slumping prices for oil compound the effects of U.S. and European sanctions over Russia's incursion into Ukraine.